Previous post: A Peaceful Stencil and 2 Winners! This workshop is currently closed to new students. If you’d like to know when the next mixed media workshop begins, keep an eye out in my newsletter. There will be a special newsletter only discount in there too when the next one launches! You can sign up for the newsletter here. They say that it takes 21 days to make a something a habit. Well play should be a habit. Play is not only fun but is a time that is filled with learning. 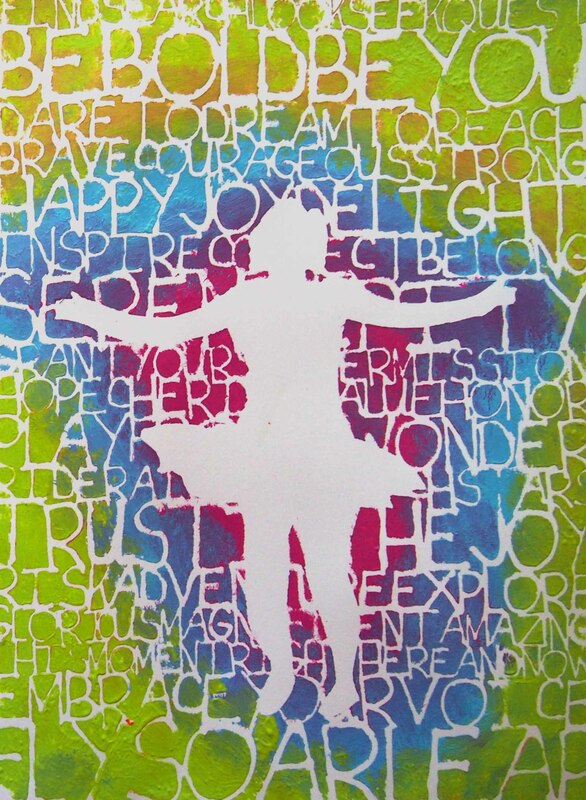 In this workshop, as you play with the techniques you will be learning all about color, layering, and how to get the most out of your stencils. You can watch Stencil Play on YouTube here. There are 18 lessons each focusing on one technique. 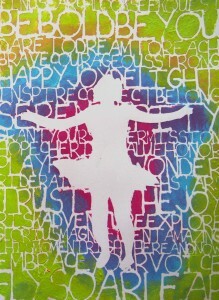 Easily there are 100+ variations of the techniques taught in this workshop that can be used with any stencil. But wait 18 lessons? You said it was a 21 day workshop. What are we going to do in the other three days? That’s for combining techniques and using the fun papers we created with both store bought stencils and homemade stencils. 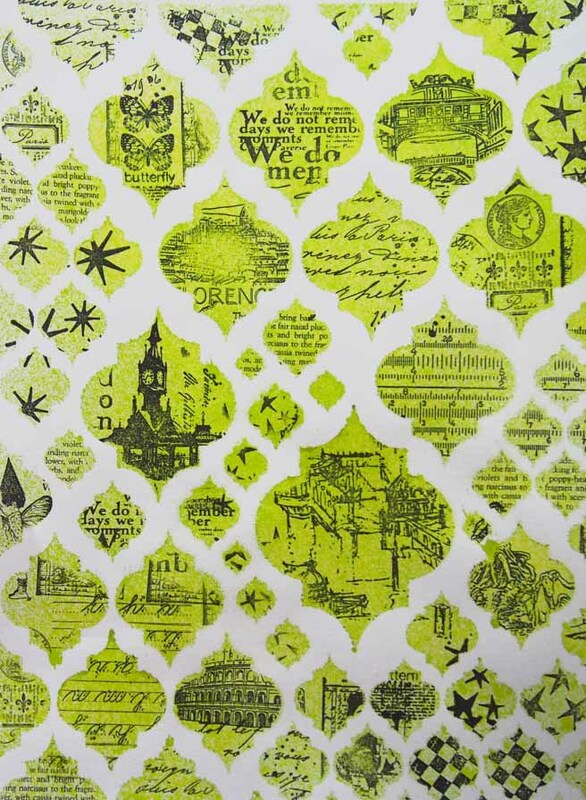 Are you new to stencils? Great! No experience needed for this workshop. 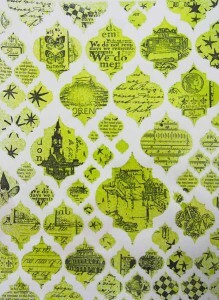 Been stenciling a while? This workshop has techniques in it I have never shared. Each day there is a new video and technique for you. The videos are under 15 minutes (well one day it is15:49 seconds but I was close to 15:00). You can watch the videos any time you want forever because they are downloadable. That’s right, you can download them and watch whenever you want. You can take your time and work through the lessons as your schedule allows. The Play Book. We’ll be compiling this together. I will have a downloadable page with each lesson that includes the how-to for the technique that you glue into any journal or sketchbook. Then you add samples of of what you’ve made while experimenting with the technique. This will build a reference book that you can refer back to for years to come. There’s a secret Facebook group (Facebook’s term not mine…) to share privately what we’re creating. A virtual playground for our fun. Not only can we share our play we will be inspired by others and get to know other creative people. This is a self-paced workshop so it is all available to you right now. That includes all the pre-workshop videos all about using lots of color on stencils and how to master and control the mud effect. This is the list of what I used in this workshop. I encourage you to use what you have as well as substitute any brand or type of supply you prefer. If you have any questions – just ask! I’m here to help. In the workshop I have a list of the exact stencils I use. True nubie neophite question here, how do I download a video? I am a point and click kind of girl. On Vimeo there is a button right under the video that says download. This is not for the public YouTube videos just the secret or hidden workshop videos on Vimeo. I also have screen shots showing you exactly where the button is in the first workshop lesson. And if you have any trouble in during the workshop you know I will be there to help you too! I’m glad these videos are downloadable. I was disappointed to learn after purchasing “Transform Your Tape”, although, an excellent class, is not downloadable. I wish I would have know that before I purchased the class. Glad you liked Transform Your Tape! Sorry about the downloading issue. That is a hot debate right now in the artist community and this workshop I am trying it as a downloadable. If it goes smoothly for everyone involved then I will probably offer my future workshops this way also. If I am not at my computer for eight or nine days, will the lesson still be there to download, or to I have to be on for the 21 days? These lessons will be up forever! You have all the time you need so that it fits in your schedule. 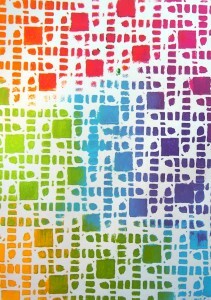 Where do I find the last Gelli print class that just finished. I would like to go through it before the new on begins. 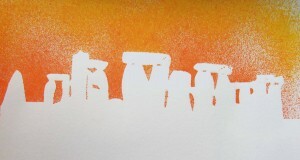 It’s at Carolyndubeartworkshops.com or at icreateflix.com depending on when you purchased the class. The class looks fantastic! I would love to win a seat in any of your workshops because you are such a great teacher and very creative in all of your art. I will keep my fingers and toes crossed, and if I don’t win the seat, good luck to everyone else. Shared this link on my FB wall. Am I entered to win this? Thanks!! Cason pads out of stock. Still going to take the class. Can hardly wait. Thx. I am so excited for Monday! I have seen the pads of paper also at Michaels and Hobby Lobby if you have any of those near you (and I love their 40% coupons for it too). It started Oct. 21st and the live class is running now. You’re welcome to jump in anytime. After the live class it will available on demand. I can find the lessons starting with week 2, and the supply list, but how can I find week 1? You can get to any of the posted lessons by going to http://carolyndubeartworkshops.com/ and going to Stencil Play at the top of the screen. Week 1 is right above week 2. Carolyn, When I go to the web site were the classes are and click on the class I want to view all that comes up is…. Protected: One Cover or Two? There is nothing below….no video, now password just a blank page. Is something going on with the site or is it just me? Please help me! All the workshop pages are password protected so only people in the workshop have access. Sometimes the computer remembers me and sometimes it doesn’t – so if you’ve entered the password once you may not have to do it again or you might. You would think it would remember me as the author but no-the elves demand it of me too.